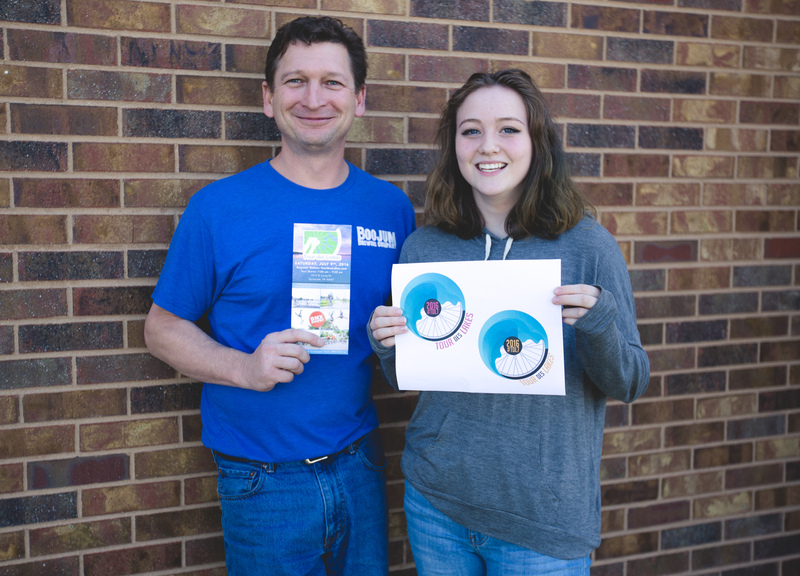 Wawasee High School sophomore, Wynter Rhodes won a contest to design the 2016 Tour des Lakes T-shirt. Syracuse, IN – The Tour des Lakes bike ride committee decided to hold a contest to design this year’s T-shirt. Teddy Pieper, of Velocity Concepts, LLC, contacted Mr. Eby, the computer graphics teacher at Wawasee High School. His students produced 32 beautiful and creative entries. the same student, Wynter Rhodes. Wynter was a sophomore at Wawasee High School. Though her favorite subject is Art, she had never designed anything like this before. She has also never attended the Tour des Lakes, though she does ride her bike around town. “For a while, it was my only mode of transportation”, she elaborated. 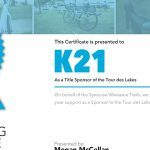 A large portion of the proceeds from the Tour des Lakes goes to improving the walking and biking trails in and around Syracuse. This increases safety for all people whose only mode of transpiration is a bike. 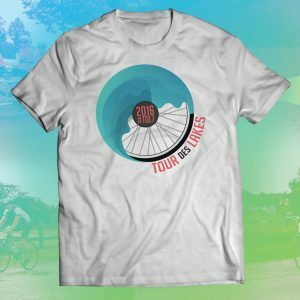 The Tour des Lakes T-shirts are given free to the first 50 registrants and other riders can purchase them for $20. So far this year there are 150 pre-registered riders. This is more than double the number pre-registered at this time last year. 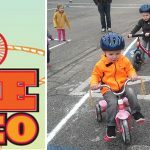 If you would like more information or to register for the Tour des Lakes bike ride go to www.TourDesLakes.com. To keep up to date on all the latest ride details “like” them on Facebook. If you have any questions or would like more information, please contact me at the number or e-mail below.